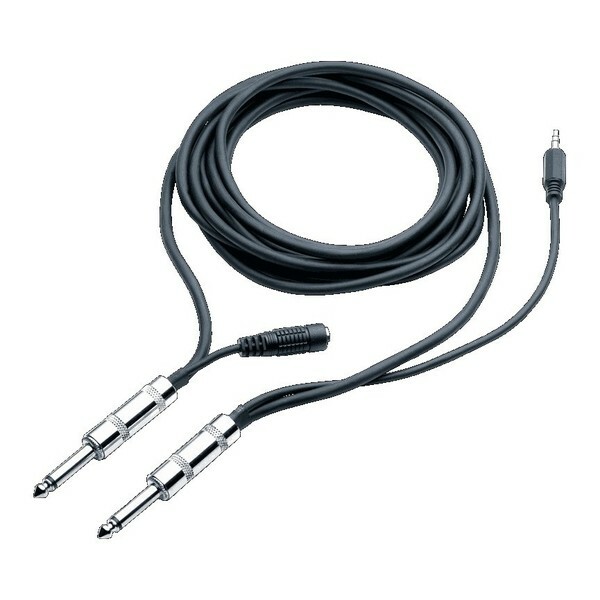 The TC Helicon Guitar and Headphone Cable is a combined 1/4'' guitar and 1/8'' headphone cable. It allows headphone signal to travel in the same cable as your guitar signal, making it perfect for guitar and bass monitoring, or practicing without an amplifier. This custom designed cable facilitates the connections in a single simple plug-and-play experience, giving you ample freedom of movement while you practice or perform. Ideally suited for guitarists and bassists with in-ear or headphone monitoring, it's also perfect for practicing with a single cable and no amp.